Hugh Hefner’s ex-girlfriend and ‘Girl Next Door’ Kendra Wilkinson is having a baby. Fortunately the baby does not belong to Hef, but rather Kendra’s fiancé Hank Bassett. The two will be married in just a couple of weeks on June 27th. Am I the only one who’s a little uncomfortable with Kendra Wilkinson reproducing? I’m a little uncomfortable with this too. It hasn’t even been a month since Mike Tyson’s 4-year-old daughter Exodus died in a freak accident, and he’s already moved on to the point of getting married. Not to his baby’s mama, mind you. Weird. 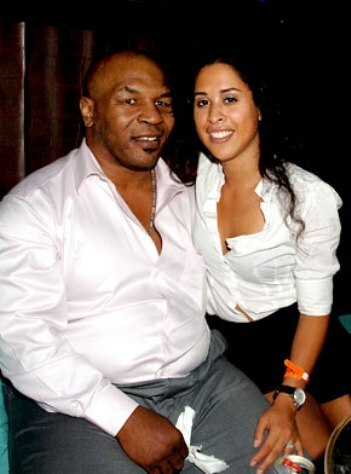 Retired boxing legend MIKE TYSON has married his girlfriend LAKIHA SPICER in a secret Las Vegas ceremony, according to online reports. Tyson and Spicer took out a marriage license in Las Vegas on Saturday (06Jun09) and the couple married later that evening at the La Bella Wedding Chapel in the Las Vegas Hilton, according to RadarOnline.com. Spicer has been helping Tyson grieve since the tragic accidental death of his four-year-old daughter Exodus just two weeks ago. 50 queries in 1.052 seconds.